Looking for a recipe with a WOW factor? Good thing you found CookingShorts because this recipe has it. The cinnamon in this soup gives this dish an amazing warm flavor profile that makes your heart smile. When we made it, the first word that came out of our mouths was WOW. 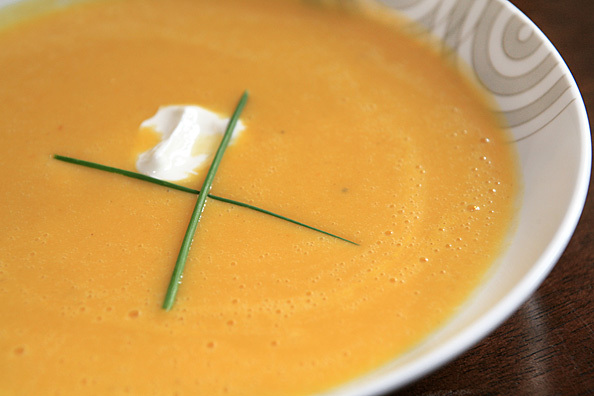 Our Carrot and Cauliflower Soup is another CookingShorts favorite because it’s perfect all year long – this recipe is a MUST! 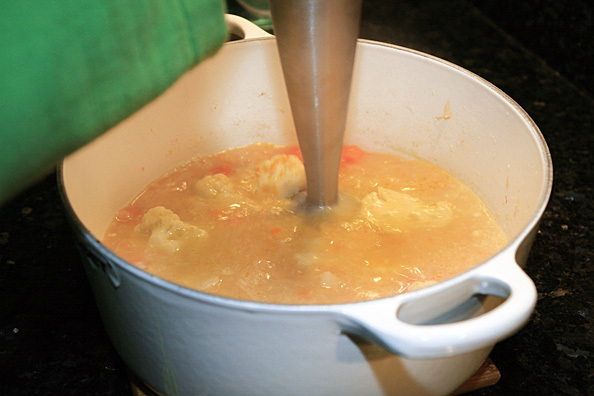 Heat the oil in large pot or dutch oven over medium heat. Add onions and season with salt and pepper. Cook for about 15 minutes until soft and tender. Add the carrots, cauliflower, red pepper flakes, lemon zest, cinnamon, stock and 1 cup of water and bring to a boil. Turn heat to low and cover. Simmer for about 30 minutes until the veggies are very tender. Using a hand blender, blend until smooth. You can also use a stand blender, but be sure to work in batches. Pour the soup into a large bowl and whisk in sour cream. Taste and season with salt and pepper. Serve the soup in individual bowls with dollops of sour cream and some chives.